Maybe that child does not have Bipolar Disorder? Disruptive Mood Dysregulation Disorder F34.8 was added to the new DSM-5 (Diagnostic and Statistical Manual of Mental Disorders) partially because way too many children were getting diagnoses of Bipolar Disorder. Most of these children grew up and never had an episode of mania or hypomania, the one thing that is required for a Bipolar Diagnosis. The research supports the idea that a particular type of childhood depression was not getting the treatment it deserved. As a result, a lot of children were getting diagnoses they should not have had. Bipolar is only one of these possible incorrect diagnoses. Some of the prominent symptoms of Disruptive Mood Dysregulation Disorder (DMDD) are temper tantrums and chronic irritability. These symptoms are quite different from the pressured uncontrollable behavior seen in Bipolar. DMDD has also been misdiagnosed as several other psychiatric disorders in the past. One reason this has been getting noticed is that children who have the particular group of symptoms now recognized as DMDD rarely grow up to have Bipolar Disorder or behavioral disorders. What they develop as they grow are significant levels of depression and anxiety. Disruptive Mood Dysregulation Disorder (DMDD) is similar to depression. DMDD shares some characteristics with other forms of Depression. In both DMDD and the other depressions, there are mood issues, sadness, feeling empty or being chronically irritable. These mood issues result in changes to the body, physical symptoms, as well as changes in thinking and behavior. The result is that the person with DMDD or depression can’t function well even when they want to. DMDD is now found in the DSM chapter on depression. For many with adult depression, their issues all started in childhood with DMDD. Disruptive Mood Dysregulation Disorder (DMDD) results in temper tantrums. 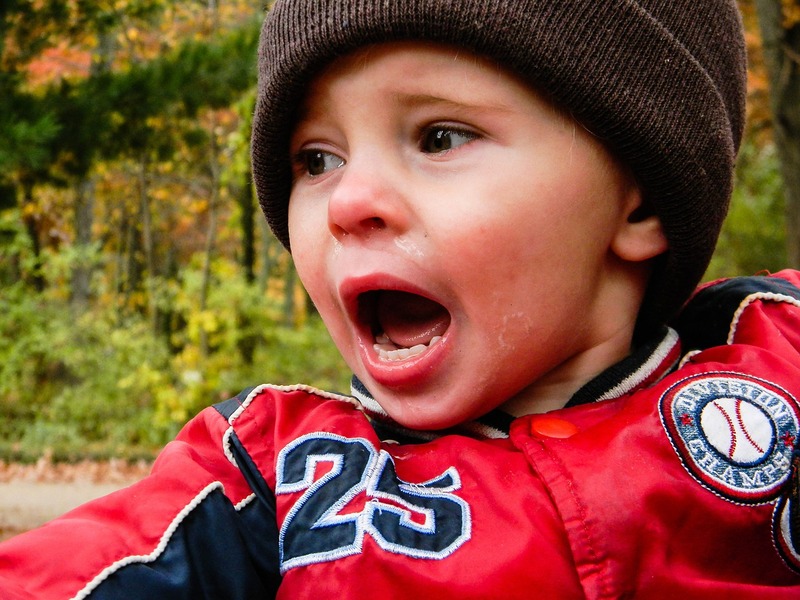 Children with Disruptive Mood Dysregulation can’t respond to frustration appropriately. The result of this lack of frustration tolerance is frequent temper tantrums or outbursts. These outbursts may be expressed verbally, or behaviorally. The defining characteristic of these temper outbursts is that they are excessive for the child’s developmental stage. Even when this child is not having temper tantrums they are almost always in an angry or irritable mood. This angry irritable mood should be something that others can readily see by observing the child. DMDD is only diagnosed if the symptoms first appear between the age of 6 and 18. The expectation is that the symptoms of depression seen with DMDD are inconsistent with the person’s developmental level. This is an issue of not being able to regulate your emotions. Before age six we expect young or school-age children to have difficulty regulating emotions and to react with sadness, irritability or temper tantrums when frustrated. Young children may become frustrated and not able to exercise self-control no matter what the encouragement or punishment they receive. Even if this disorder does not get recognized and diagnosed until later teen years the child must have had these symptoms before age ten. This separates DMDD from things that may be typical of adolescents during the teenage years. On average, a child with DMDD should be having three or more episodes of mood dysregulation per week. This separates out the child who has occasional difficulties in response to a stressor from those who just can’t regulate emotions and are triggered more easily than they should be given their age. These temper outbursts and mood dysregulation should go on most of the time for a year or more. This is no passing phase. Even if there are brief periods when the irritable angry mood is not present these periods of better mood should not last for more than three months. Mood dysregulation happens in more than one place. For us to think this child’s issue is a disorder we would expect the symptoms to appear in more than one setting, school, home, organized activates and so forth. In at least one of these setting, probably more, the outbursts are expected to be severe. For a small group of children, there will be symptoms of mania or hypomania. If that is present then yes Bipolar Disorder is more appropriate and they are likely to develop more severe bipolar symptoms over time. Early treatment for childhood Bipolar Disorder can reduce the severity and impact of the disease but only if we are getting the diagnosis correctly. One other difference between of Disruptive Mood Dysregulation Disorder (DMDD) and Bipolar is the way symptoms fluctuate. DMDD fluctuates in response to frustration. Bipolar symptoms come and go as a function of time. Other Disruptive Mood Dysregulation Disorder (DMDD) issues. DMDD has a lot of co-morbidity with other disorders. Children with DMDD are at increased risk of abusing substance and developing a substance use disorder (SUD.) And yes, we see SUD in elementary school children. Because girls tend to internalize problems, while boys externalize, there is likely to be a bias in the diagnosis of Disruptive Mood Dysregulation Disorder (DMDD.) Only time will tell if this turns out to be another label for young boys. Symptoms of Disruptive Mood Dysregulation Disorder (DMDD) are likely to change as the child grows and matures. It will be interesting to see if children who receive the DMDD diagnosis go on to experience Major Depression or some other adult mental health issues. Hopefully, treatment for this disorder while the child is young can prevent lifelong problems. As with the other things we are calling a mental illness DMDD needs to interfere with the child’s ability to go to school, their relationships, and enjoyable activities or cause them personal distress. Otherwise, they may have the issues but not get the diagnoses. If the only time this happens is when under the influence of drugs or medicines or because of some other physical or medical problem these symptoms need to be more than the situation would warrant. Other issues may need treating first, then if the child still has symptoms they could get this diagnosis. This entry was posted in Depression, Psychology, What is and tagged childhood depression, chronic irritability, F34.8, feeling empty, lack of frustration tolerance, Licensed Therapist & Licensed Counselor, Mental health terminology, of Disruptive Mood Dysregulation Disorder DMDD, temper tantrums, What is by David Joel Miller. Bookmark the permalink.